Perfect projects for beginning woodworkers, these uncomplicated racks, rod holders and even fishing rods are simple and easy to build. Use free plans for fishing rod racks to create custom mountings for your favorite fishing poles. 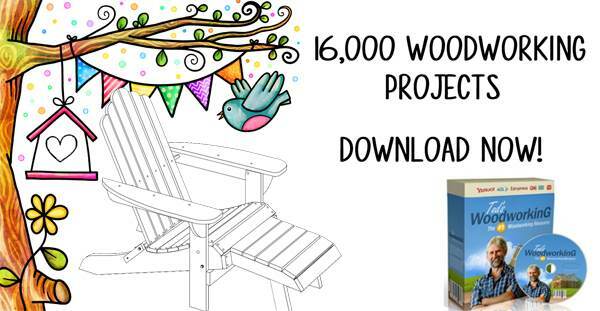 Sharpen your woodworking skills while awaiting the opening of fishing season. 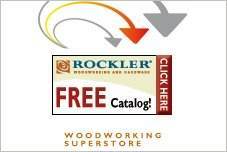 These free plans for fishing rod racks come with material lists, tips for finishing your rack and suggestions for using your tools. Fishing rods are difficult to store. 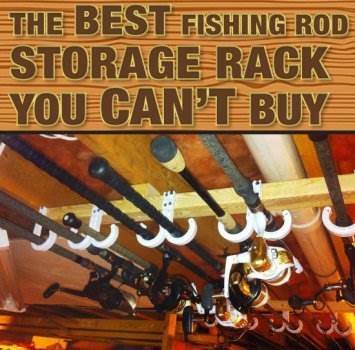 Make an attractive rack to display your favorite rods and clear up the clutter in your garage or workroom. There are plans for moveable floor models or stationary wall-mounted racks. A wall rack can display your rods on a den wall or can be mounted in a closet or storage unit to keep them safely out of sight. This plan is for a strong and sturdy rod rack that can hold a large amount of fishing rods but takes up very little floor space. Step by step plans with pictures for making a solid wood gun rack that can also be used as a fishing rod rack. Learn how to mount your fishing rods on the ceiling with just a few required materials and this easy to follow step by step plan with pictures. Build this inexpensive solid wood rack that holds seven fishing rods and can be placed on the floor or mounted on the wall. 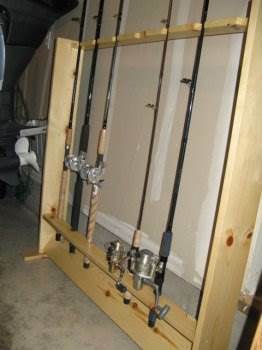 This fishing rod rack plan is a quick and easy way to build a storage area for all your fishing rods plus can be customized to suit your needs. Watch this instructional video for making an all wood rod rack on wheels that will hold as many as 17 fishing rods with ease. Here are downloadable templates to help you build a wooden fishing rod rack that is designed to be mounted on the ceiling. Here are plans for building a fishing rod rack to help keep all your fishing gear organized and ready to go.